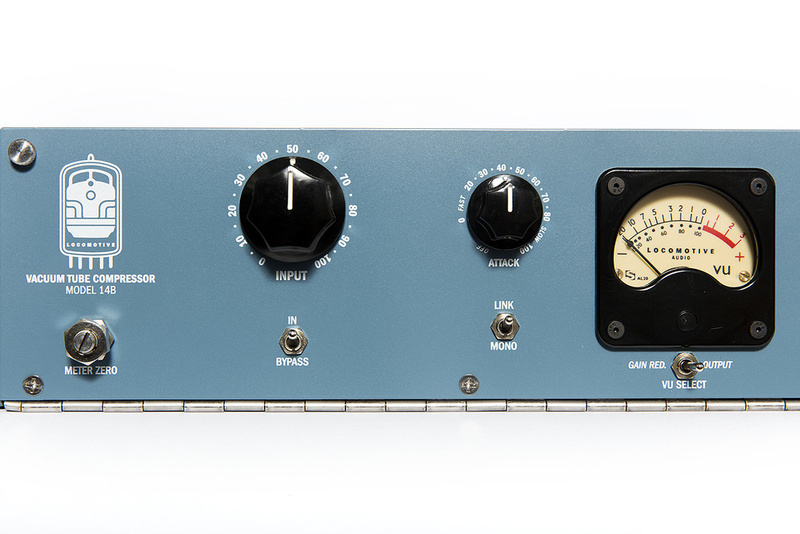 Combining aspects of two classics from the golden age of hardware design, this compressor is really rather special. Locomotive Audio began life when founder Eric Strouth took a trip to Memphis, Tennessee, a couple of hundred kilometres south of his native St Louis, Missouri. The trip provided the spark of inspiration for Strouth to design his own palette of studio processors: it was at the famous Sun Studios that he discovered a pivotal component of the ‘truly rich’ (as he puts it) sound of classic records — the all-valve equipment of the early days of the pop era. Back home, he began to experiment with these design topologies, and his ambition to achieve similar sound textures in his own studio ultimately led to the founding of Locomotive Audio. 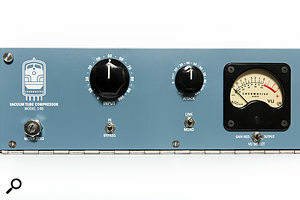 At the time of writing, Strouth’s company offers two different all-valve products: a dual-channel preamp and the Model 14B compressor/limiter, the latter being the subject of this review. At first glance — and indeed beyond — the 2RU enclosure oozes vintage vibe and effortless class; the unit delivers typical design features of late-1950s studio kit with unmistakable charm. Solid toggle switches, large controls, the red power lamp and, frankly, the entire manner in which the unit has been crafted teleports us back into the heyday of the valve era. The whole mechanical construction, with the hinged front panel and the tubes and transformers mounted on the rear, has been conceived in typical ’50s fashion, and all this combines with the stylish blue-grey paint job and beautiful Locomotive logo to leave me with the impression that this unit might really have been made over half a century ago! 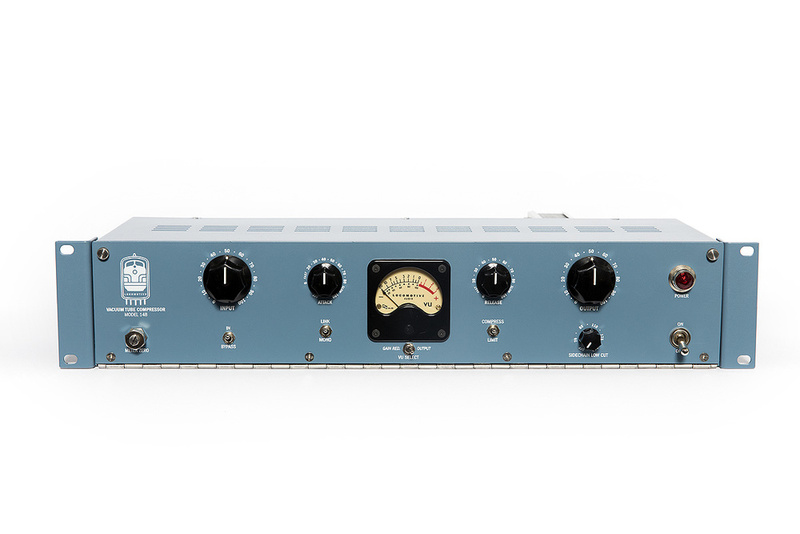 The beautiful company logo, with a locomotive inside a vacuum tube.Conceived as a one-channel unit, the Model 14B draws inspiration from a wide range of classic valve limiters, but two or three specific vintage processors provided more focused inspiration. Breaking it down, the Locomotive combines an input stage similar to the one on Bill Putnam’s Universal Audio 176, with an output stage closely related to the circuitry of a Gates Sta-Level or an RCA BA-6A. The side-chain is again reminiscent of the 176 — it comes as no surprise that the front-panel layout reminds us of the classic Universal Audio unit. However, it’s important to be clear that the 14B isn’t a clone of any sort. Strouth’s unit borrows characteristics of several vintage units, but they’re combined in a way that creates something new and individual. It should be noted, though, that the 14B delivers many of the typical features of a late-’50s ‘remote cut-off’ limiter. Its all-valve signal path offers classic feedback compression, and the gain structure can be set by adjusting the input and output pots against a fixed internal threshold. The unit boasts continuously variable time constants with rather wide parameter ranges (300 s to 10ms for attack and 100ms to 2s for release). The unit can be operated in compression or limiting modes, with ratios of up to 5:1 for the former and up to 14:1 for the latter. As a direct result of its functional principle, the onset of compression forms a very gentle knee, so the maximum ratios will only be achieved under heavier loads — indeed, when employing light compression, the difference between the comp and limit modes might barely be audible. But this behaviour is totally normal for a dynamic processor which relies on the nonlinear curve of a remote cutoff valve for gain reduction. In addition, the unit offers some thoroughly modern features, namely a hard-wired bypass, and a side-chain filter with continuously variable corner frequencies from 70 to 350 Hz. The compression can be switched off by turning the attack knob to its leftmost position, allowing the unit to be operated as a line-level amplifier or sound-colouring device even without applying actual compression. The gain reduction of two units can be ganged by way of flicking the Stereo Link switch on the front and a quarter-inch jack on the back. Centre stage of the front panel is taken by a VU meter which can be toggled between gain reduction and output level display. There’s also an LA-2A-style trim pot for VU meter calibration on the front panel, and further means to calibrate the circuitry can be found behind it when folded down — needless to say these jobs should be executed with great care and proper tools, as there are potentially lethal voltages inside the 14B! 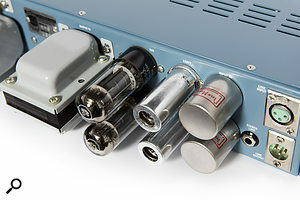 The unit boasts custom-designed Cinemag input and inter-stage transformers, and an Edcor output transformer.Speaking of which, the signal path comprises an input stage, built around the 6BC8 remote cutoff valve and a 12AY7 dual triode, driving the beefy push/pull output stage built around a pair of 6V6 tetrodes. The review unit employed a NOS General Electric 6BC8, while the other valves are Electro Harmonix and Tung Sol types. 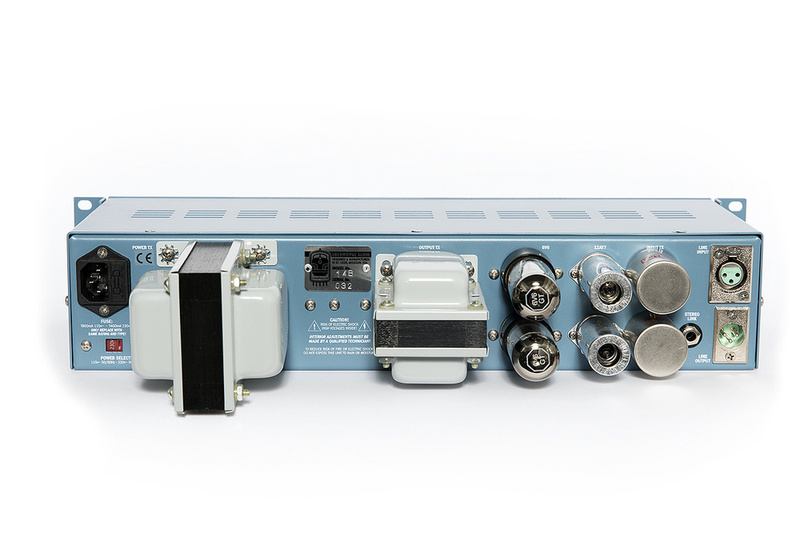 The input stage is based around a pair of high-quality and custom designed Cinemag input and inter-stage transformers. The pair of 6V6s drive an output transformer by Edcor, whose steel core is, according to Strouth, a very good match with the valve stage. Overall, the 14B offers around 30dB of gain, which makes it a fairly powerful (line) preamp in its own right. 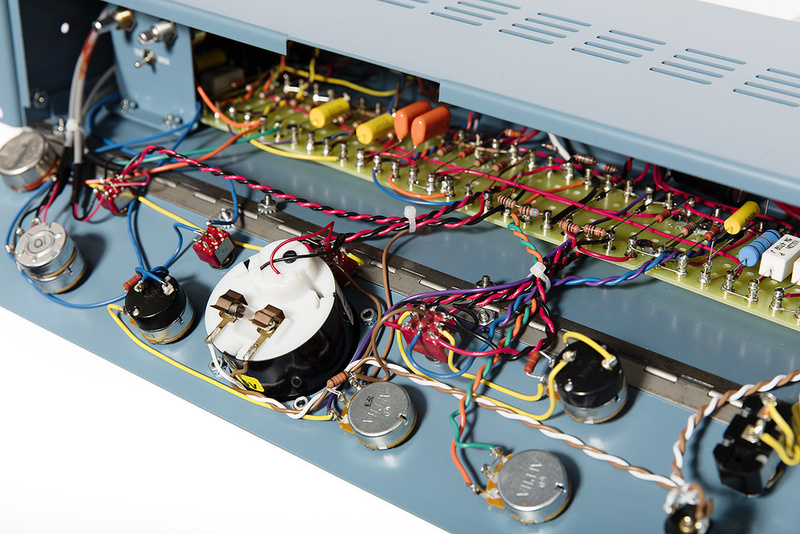 Quality components have been selected for other parts of the circuitry too — the 14B boasts a backlit Sifam VU and Alpha potentiometers, and all the components inside the enclosure, including Solen capacitors, are neatly soldered onto a turret board. So it’s not just about the styling — if we didn’t know better, we could think this was a recently discovered secret weapon from back in the day, but in fact it’s a high-quality current production unit delivering all the hardware goodness of the classic designs. If I were granted a wish to improve the hardware design of the 14B I’d leave it exactly as it is! The components inside the unit, accessible via the hinged front panel, are placed on turret boards. Apparently, Strouth’s goal was to make a dynamics processor based on vintage principles without adding so many bells and whistles that the unit became less easy to understand or to use — kit such as this should be straightforward. The 14B delivers: it feels just as good as any of the classic units I have mentioned above, and yet it comes with all the features required to set it up appropriately for a wide range of possible uses, and then some. There are definitely cleaner-sounding valve compressors available today, but that’s not the point of the 14B. If we simplify the vintage valve compressor, there are two types of processor: those that ‘warm up’ a signal, and those that make it ‘brighter’, and Locomotive’s compressor falls into the latter category, just like the original UA 176 or Retro Instruments’ modern version of that design (reviewed in SOS March 2013). The Locomotive 14B adds presence and excitement to a source, and does so with really great — and unique — character. It also sounds noticeably different from the Retro Instruments 176. They’re both great compressors, but I am happy to describe the 14B as a characterful unit in its own right. Its valve stages offer a pretty, gritty, mean tone which seems to marry the sonic attitudes of two of the units which inspired it. It lends the open, bright, forward-sounding tone of the 176, and the grainy, hairy saturation we know and love from the Sta Level (whose Retro version I reviewed in SOS December 2014). But where the Gates sounds dark and woolly, the Locomotive delivers similar distortion artifacts with a ‘zingier’, lusher upper mid-range presence. These qualities make the 14B stand out as a vocal processor. The combination of this particular sound ‘colour’ and the fairly fast (for a vari-mu) time constants create the right recipe to pin a vocal track in front of a dense, powerful musical arrangement. Peaks are controlled effectively, and the valve stages and transformers add an upper mid-range boost that might even replace an EQ. The 14B doesn’t only make the vocal tracks objectively and measurably louder, though; subjectively it also seems to let them pop out of the speakers in a very pleasant manner. It should be noted, though, that sibilance should be kept well under control by other means — the 14B’s character means that it tends to bring esses out more than a warmer-sounding model. The same characteristics make the 14B suitable for use on other sources as well. As a bass compressor, the Locomotive can add strength to a recording, although there is some compromise when it comes to the lowest octave, even with the side-chain filter engaged. It might be an ideal choice for a gritty, hard-rock bass line played with a plectrum, but perhaps less so for a warm, R&B bass. As with pretty much any compressor/limiter related to the UA 176 or 1176-related comp/limiter, it’s fun to try out the Locomotive on drums and drum-room mics. It can reliably manage transients and average levels, but it can also pack a serious punch if desired. The compression itself, the interplay between the attack and release curves, sounds pretty natural and organic. It certainly acts in less rigid and brutal fashion than the transistor-based 1176, but it also remains tighter than typical optical compressors from that era. Classic shapes: all tubes and transformers have been mounted on the rear panel. Weighing 20 pounds in its sturdy 2U metal case, Locomotive Audio’s 14B Vacuum Tube Compressor is a heavyweight in both senses of the word. With a virtually flawless hardware design and construction, and with quality components under the lid, Eric Strouth has created a unit that marries 1950s construction topologies with modern production standards very effectively — the result is stunningly good. When it comes to the design, the 14B borrows inspiration from certain vintage models, but these combine to create a beautiful sonic character. It offers a distinct tone all of its own, and compression that’s useful in many situations. Though it’s very versatile, it really shines as a vocal processor. In fact, it really delivers all the goods: more average level, a pleasant handling of the transients and a rich and mid-forward tone. As a bonus, the audio stages sound fairly quiet for a unit of this type, and all switches operate without nasty pops and clicks. While these things obviously don’t go for pocket money, when you consider the quality, the uniqueness and the versatility of what’s on offer, not to mention the care and effort that must go into each unit’s construction, the price is very fair. Recent years have seen more vari-mu designs brought to market. Among these, Retro Instruments’ 176 and Sta Level each tap the same source of inspiration as Locomotive’s Model 14B. The Antony Demaria Labs 1700 Liquid Mu is another contender in the same price bracket, albeit with a different, noticeably darker tone. And Chandler Limited have reissued Abbey Road’s legendary EMI RS124, which offers another shade of classic variable-mu compression. I’ve prepared a number of audio examples to demonstrate the characteristics of the Model 14B. Beautiful and unique sound character. Combining the designs of several vintage remote-cutoff valve limiters, Locomotive Audio’s Model 14B offers classic gain control but with its very own, very appealing, sonic signature — the ‘blooming’ mid-range adds immediacy and character to any source. The wide parameter ranges and a few useful features also make it a versatile tool for the modern studio.